ASIC are an independent Commonwealth Government body. We are set up under and administer the Australian Securities and Investments Commission Act 2001 (ASIC Act), and ASIC carries out most of their work under the Corporations Act. 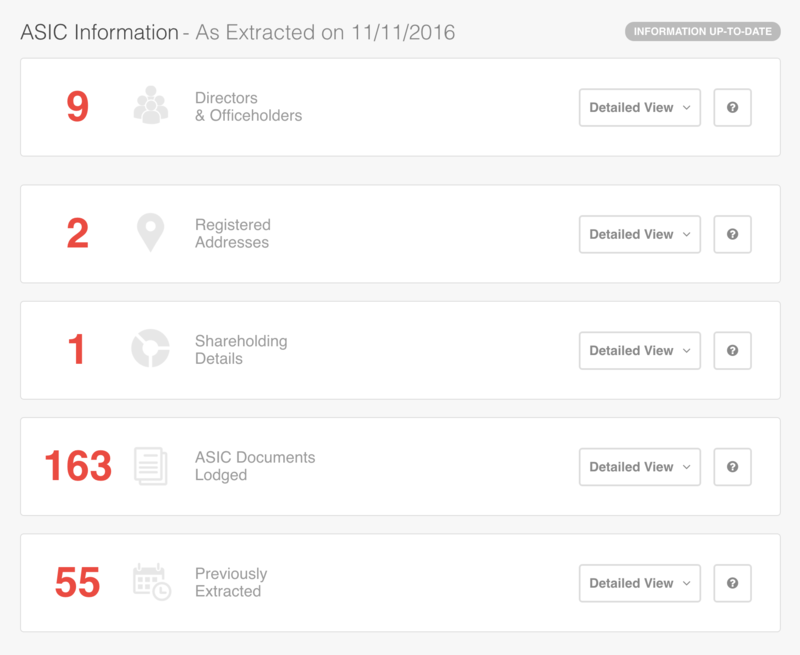 Prior to purchasing an ASIC Extract, you will be presented with a message outlining what information is included when you make the purchase. The message will look similar to the image below. When new information has been provided to ASIC with updates to the entity, a message will appear (see below for example) alerting you that there has been some information changed to the entity. If you click in the 'detailed view' of the highlighted section you will be able to see what information has been changed within that section. 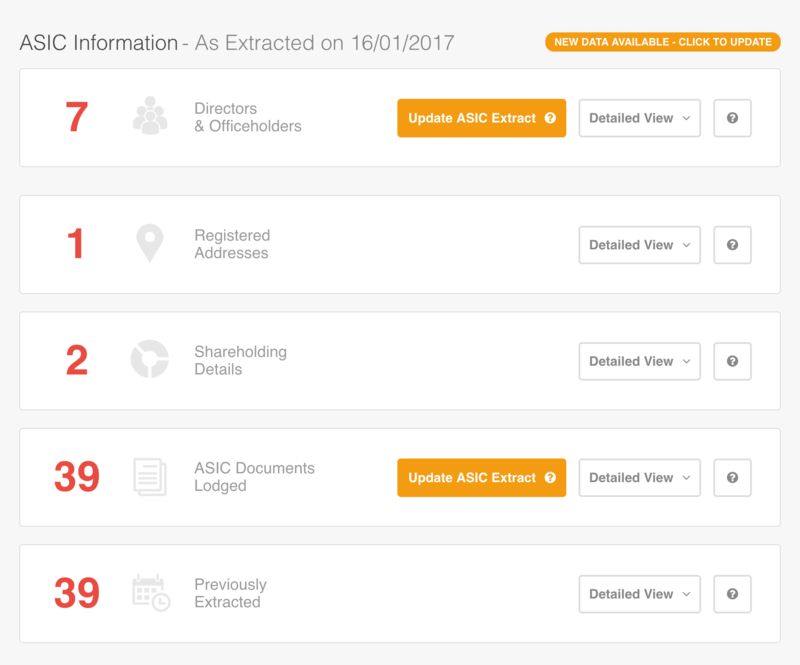 However, to see the new changes a new ASIC Extract must be purchased, you can easily do this by clicking 'update ASIC Extract' or 'Click to update' buttons.